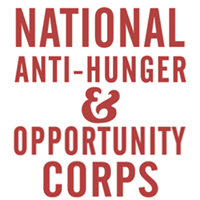 Just Harvest has an opening for a full-time VISTA through the Anti-Hunger and Opportunity Corps! We are seeking a dedicated and self-motivated individual to serve for a full year, starting this July. Just Harvest is now hiring a part-time tax return reviewer for its free tax assistance program, which runs January 17 through April 18. Just Harvest is now hiring a part-time tax site coordinator for its free tax assistance program, which runs January 17 through April 18.